I guess I could also call this post Deep Blue Baby Bib since I made the bib with the pieces I trimmed from this quilt. 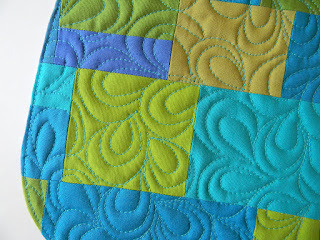 This bib pattern by JCasa is perfect not only for for scraps, as I found out earlier, but also for trimmed strips and even left over quilt blocks, anything pieced to 10 x 10 inches. I tried out another new free motion design on this. What would you call it? It looks like an echoed teardrop shape to me, I guess. Very fun to do. 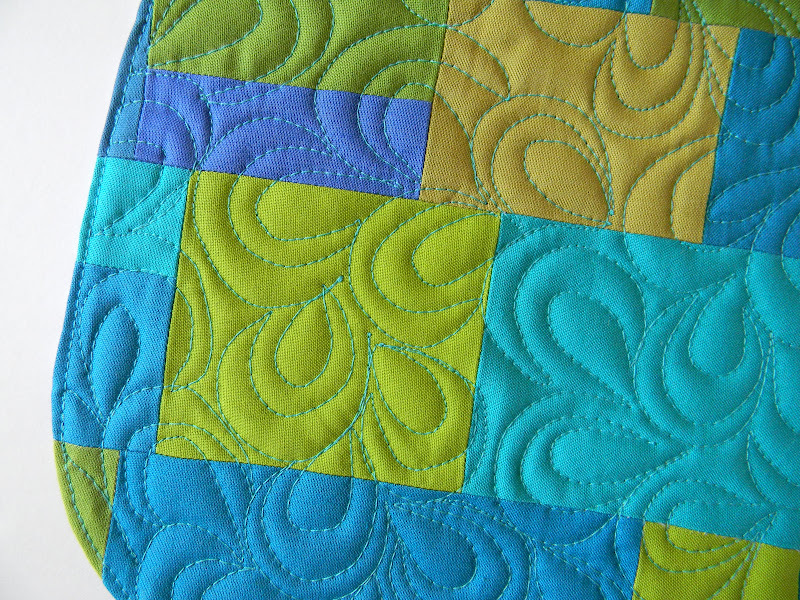 Love love love the quilting! I lament my lack of time to practice free-motion. Did you mark ahead of time or just wing it? What a perfect design to practice FMQ on! Yours is beautiful and probably too nice to use! Lucky bub! Love that pattern & what beautiful quilting!! Adorable! Love how his bib matches your blog header! hm... I would call it... awesome. I saw a tear drop right away and love it! 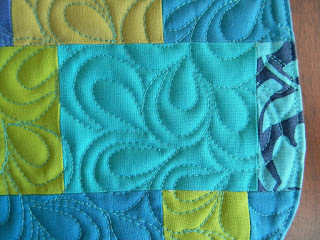 I love the tear drop FMQ. 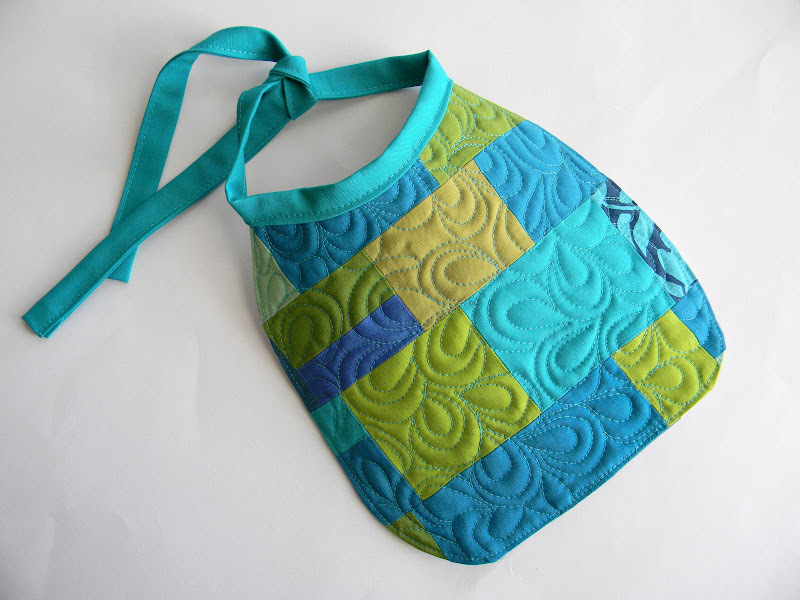 And gorgeous colours on the bib!